Relevant Uses: Industrial use only. Risk Phrases: R36/37/38- Irritating to eyes, respiratory tract and skin..
For the full text of the S-statements R-phrases mentioned in this Section, see Section 16. Fire: Calcium Chloride is not considered to be a fire hazard. 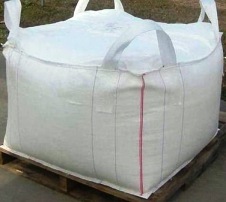 Explosion: Calcium Chloride is not considered to be an explosion hazard. 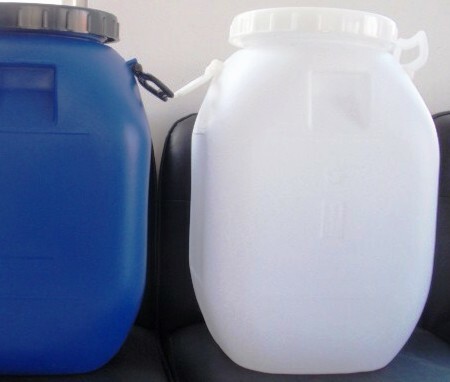 Keep Calcium Chloride Dihydrate in a tightly closed container, stored in a cool, dry, ventilated area. Protect against physical damage. Moist calcium chloride and concentrated solutions can corrode steel. When exposed to the atmosphere, it will absorb water and form a solution. Airborne Exposure Limits: None established. 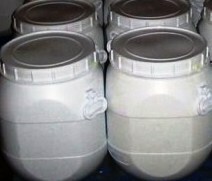 Appearance: Calcium Chloride Dihydrate is white crystals or powder or granules. Solubility: It is freely soluble in water, exothermic. Melting Point: 176 C (349 °F) for Calcium Chloride Dihydrate. Vapor Density (Air=1): No information found. Vapor Pressure (mm Hg): No information found. 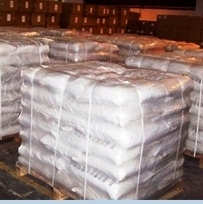 Stability: Calcium Chloride Dihydrate is stable under ordinary conditions of use and storage. Substance will pick up moisture from the air and go into solution if exposed in open containers. Hazardous Decomposition Products: It emits toxic chlorine fumes when heated to decomposition. It may form hydrogen chloride in presence of sulfuric or phosphoric acids or with water at elevated temperatures. Incompatibilities: Methyl vinyl ether, water, zinc, bromine trifluoride, mixtures of lime and boric acid, barium chloride, and 2-furan percarboxylic acid. Metals will slowly corrode in aqueous calcium chloride solutions. Aluminum (and alloys) and yellow brass will be attacked by calcium chloride. Serious eye damage/irritation: Causes serious eye irritation. Symptoms/injuries after inhalation: EXPOSURE TO HIGH CONCENTRATIONS: Coughing. Slight irritation. Runny nose. Symptoms/injuries after skin contact: Slight irritation. Symptoms/injuries after eye contact: Irritation of the eye tissue. Visual disturbances. Toxicity to Animals: Oral rat LD50: 1000 mg/kg on Anhydrous CaCl2 basis. Environmental Fate: Based on available information for Calcium Chloride anhydrous, this material will not biodegrade or bio accumulate. Environmental Toxicity: The LC50/96-hour values for fish are over 100 mg/l. DOT USA & ADR/RID: Not regulated. Canada TDG hazard class: Not regulated. Europe ADR/RID hazard class: Not regulated. ICAO/IATA (air) hazard class: Not regulated. SARA 302 Components: No chemicals in this material are subject to the reporting requirements of SARA Title III, Section 302. SARA 313 Components: This material does not contain any chemical components with known CAS numbers that exceed the threshold reporting levels. TSCA: CAS# 10035-04-8 is not on the TSCA Inventory because it is a hydrate. Canada - DSL/NDSL: CAS# 10043-52-4 is listed on Canada's DSL List. WHMIS (Canada): CLASS D-2B: Material causing other toxic effects (TOXIC). R36/38- Irritating to eyes and skin..
Safety Phrases: R36/37/38- Irritating to eyes, respiratory system and skin. S22- Do not breathe dust. S24/25- Avoid contact with skin and eyes. S26- In case of contact with eyes, rinse immediately with plenty of water and seek medical advice.